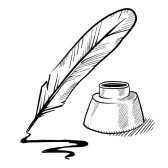 There is a fiction writing contest hosted by Telegram Sam and backed by CCP. I've been tossing around some random short stories in my head. Now seems an ideal time to spend the next month working on them and seeing how I do. The contest has two categories, Lore and Non-lore stories. I know nothing about the Eve lore. I am also not overly interested in it. I find that interesting. The Lore is not bad but it is like reading a book and watching a movie. They have the same information in them but it is different. Eve's Lore compared to playing Eve are like that for me. The Lore sets up the basic structures of the world but the written lore is not the game that I am playing and love so much. I want to write about the game that I play. However, after I got down the series of short stories I have in my head I will look at the Lore if I have energy for more. I love science fiction and writing something 'true to Eve' has a fun appeal to it. I have five or so weeks to get some stuff written and submitted. I'm going to play with the permanent pages option to host them here. I won't spam the blog itself with any more then I already spam it with. The question I ask myself is, "Why enter?" I'm not competitive by nature. It is more of the goal that it gives me. I love writing and I have tons and tons and hundreds of thousands of words of various stuff written but I am terrible at focusing and finishing things. An exterior goal point gives me something to focus on. I read about this at an interesting time. Blog Banter 40 has been released. I was looking forward to it and when I saw the subject matter I sighed and backed away. It feels hypocritical to want to join into the writing contest and so dislike the Tournament. Yet writing with the hopes that some people will read and enjoy is different from competing in a 'sport' with a goal to win or beat other people. I did settle down and play Planetside 2 for a bit. I'm still not sucked into the FPS game. The frantic drop in with almost no explanation on how the game works I found frustrating. I had to keep stopping and searching to figure out what things were and what people meant in the chats. I then died a lot. I killed nothing. I have a satisfaction level of not really excited about it. I also long for tutorials, or a help section, or something to let me consume basic information. This press buttons and figure things out as you go does not worth for me at all. Oh I'm sorry I'm shooting you, I had to figure out that to 'heal' people as a medic I have a healing gun. My bad. If the Blog Banter subject matter prompts such a strong dislike from you, then surely that's worth writing about. There seems to be a groundswell of disdain for the tournaments amongst the current banter entries, so I don't think you're alone. I'd certainly be interested to read why you dislike the tournament concept so much.